This article was originally published on Amit Saha’s personal site. 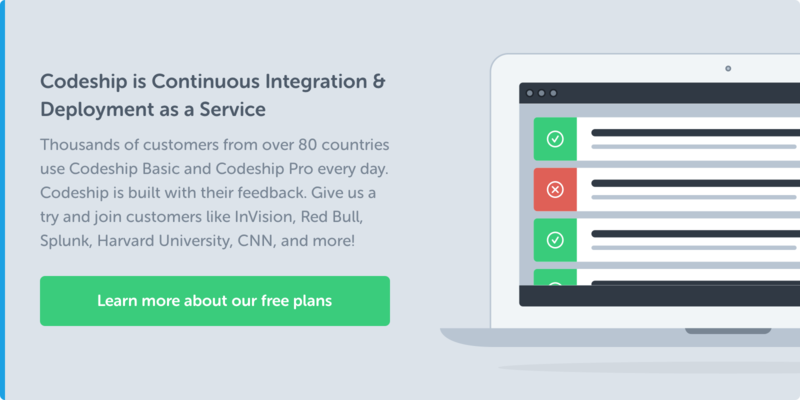 With their kind permission, we’re sharing it here for Codeship readers. Distributed tracing is the idea of tracing a network request as it travels through your services, as it would be in a microservices-based architecture. The primary reason you may want to do this is to troubleshoot or monitor the latency of a request as it travels through the different services. In this post, we will see a demo of how we can introduce distributed tracing into a Python network stack communicating via HTTP. We have a service demo that’s a Flask application, which listens on /. The handler for / calls another service, service1, via HTTP. We want to be able to see how much time a request spends in each service by introducing distributed tracing. Before we get to the code, let’s talk briefly about a few concepts. Roughly, a call to an “external service” starts a span. We can have a span nested within another span in a tree-like fashion. All the spans in the context of a single request would form a trace. The span that is started from service1 is designated as a child of the root span, which was started from the demo application. In the context of Python, we can think of a span as a context manager and one context manager living within another context manager. And all these “contexts” together form a trace. Zipkin is a distributed tracing system that gives us the last two of the above requirements. How we emit this data from our application (the first point in the bulleted list above) is dependent on the language we have written the application in and the distributed tracing system we chose for the last two requirements. In our case, py_zipkin solves our problem. As we can see, four spans were created (two spans in each service) with the second, third and fourth spans nested inside the first span. The time reported to be spent in each span will become clear next. We create the first span inside the / handler function index() via the zipkin_span() context manager. We specify the sample_rate=100, meaning it will trace every request (only for demo). The transport_handler specifies “how” the emitted traces are transported to the Zipkin “collector”. Here we use the http_transport provided as an example by the py_zipkin project. This handler function calls the do_stuff() function where we create another span, but since it is in the same service, we specify the same service_name and decorate it with the zipkin_span decorator. We have an artificial time delay of 5s before we make an HTTP call to the service1 service. Since we want to continue the current span, we pass in the span data as HTTP headers. These headers are created via the helper function create_http_headers_for_new_span() provided via py_zipkin. This is almost the same as our demo service above, but note how we set the zipkin_attrs by making using of the headers we were passed from the demo service above. This makes sure that the span of service1 is nested within the span of demo. Note once again how we introduce artificial delays here to make the trace show the time spent in each service more clearly.